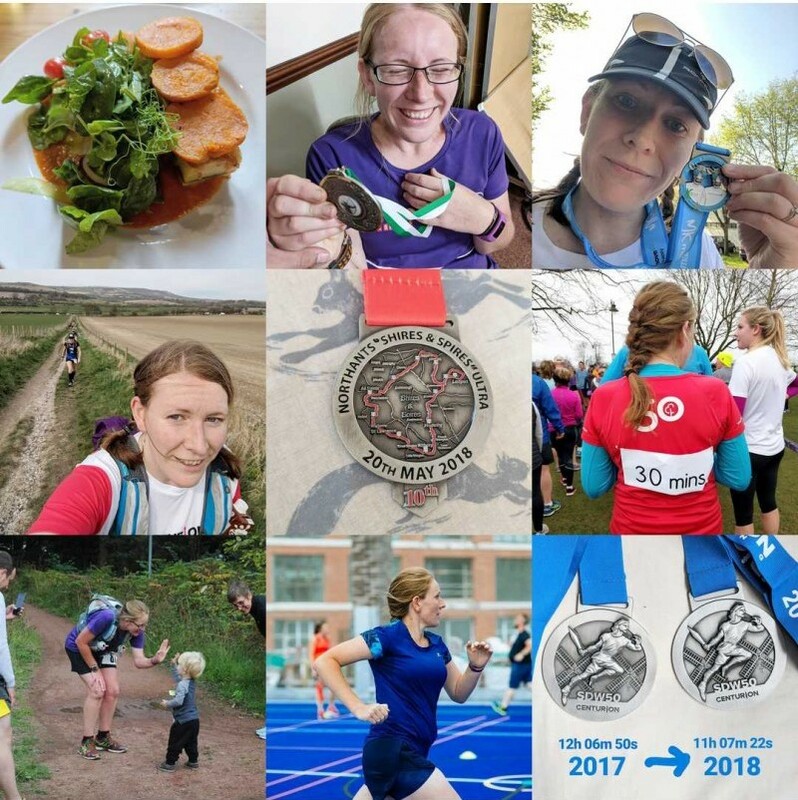 My 2018bestnine from Instagram: Obviously lots and lots of running in there! 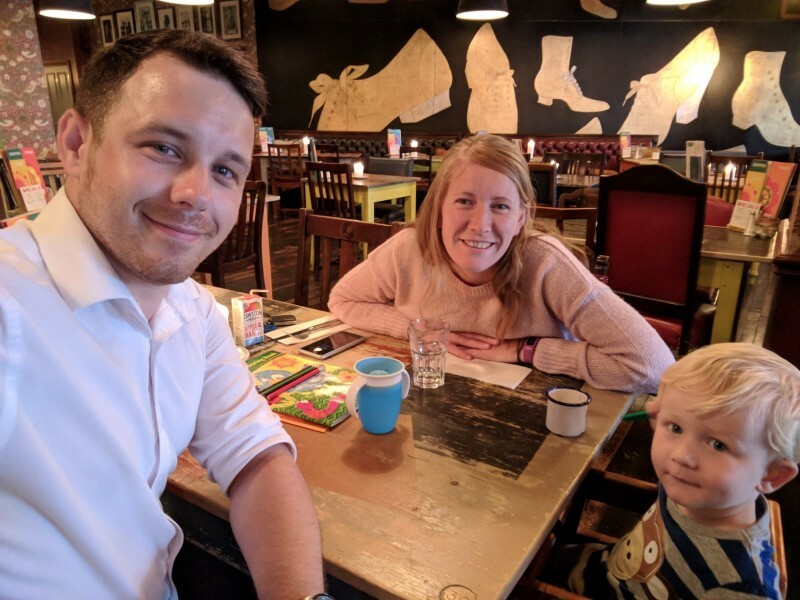 * Super tasty meal out with Dan on our first date day since having Oscar. 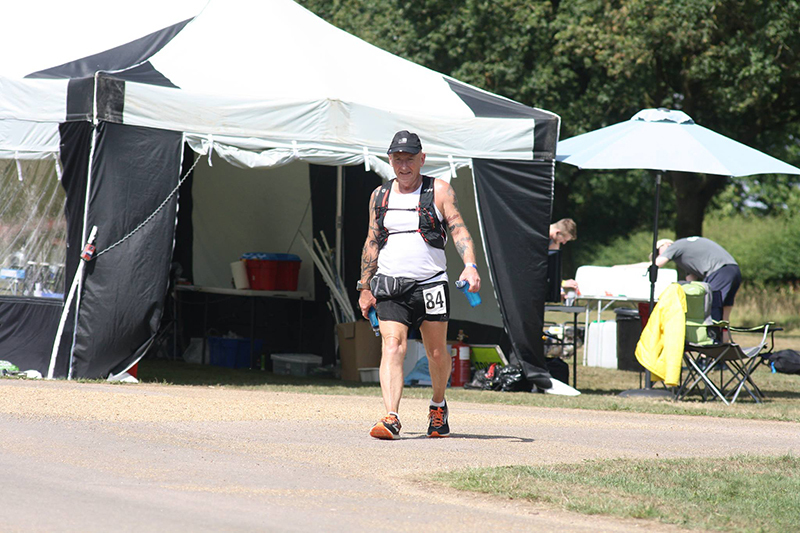 * At the finish of the Robin Hood 100 in September. I finally ran 100 miles! My face says it all. * At the end of the Milton Keynes Marathon in May. Such a ridiculously hot day. The support from the locals was incredible though. * Headed up the first big hill of the South Downs Way 50 in April. I had such an epic race that day. Everything fell into place for me out on the trails. * My Shires and Spires 35m medal from May. I ran my second fastest time on the course despite only using the race as a training run for my first 100 event. 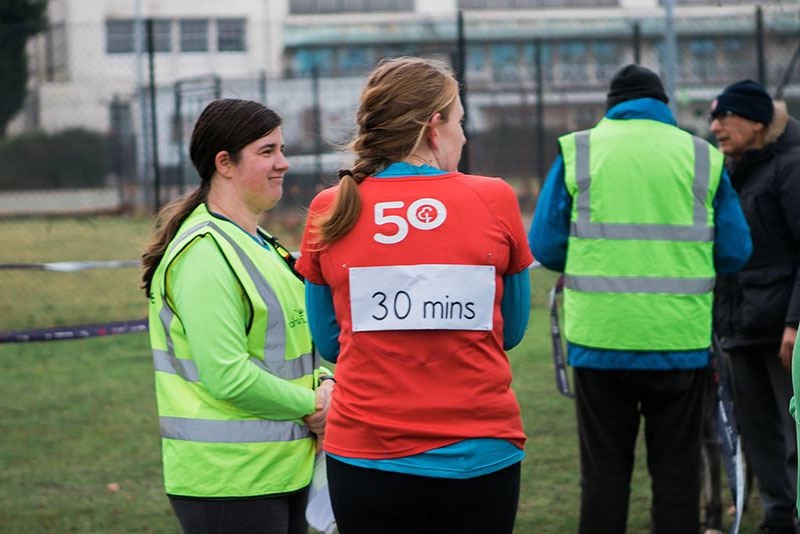 * Volunteering as 30 minute pacer for the first time at Northampton parkrun at the start of the year. * High fiving Oscar at the 85 mile point of my 100. * Playing rounders on the roof of the Decathlon building in London. 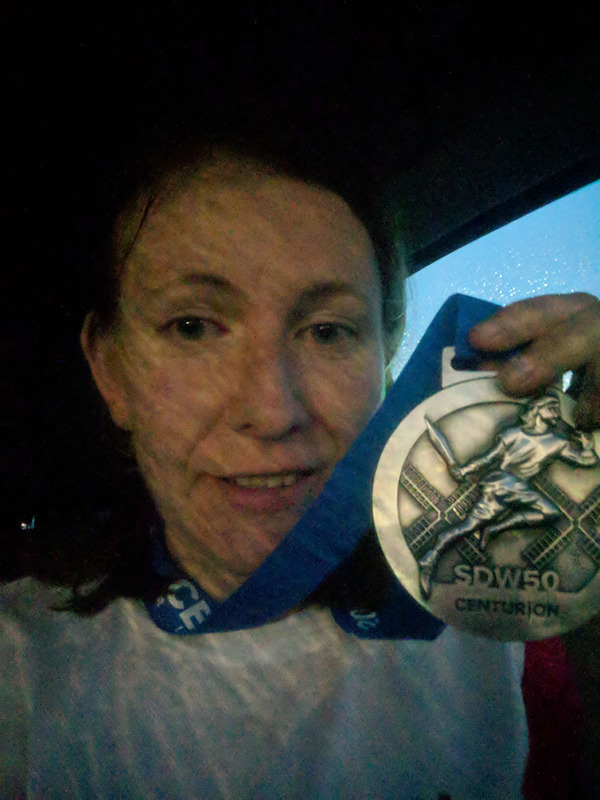 * Comparing this year’s SDW50 medal with last year’s. A few seconds shy of an hour PB! * Oscar playing at Wickstead Park. * Enjoying his first time paddling in the sea at Wells in Norfolk. 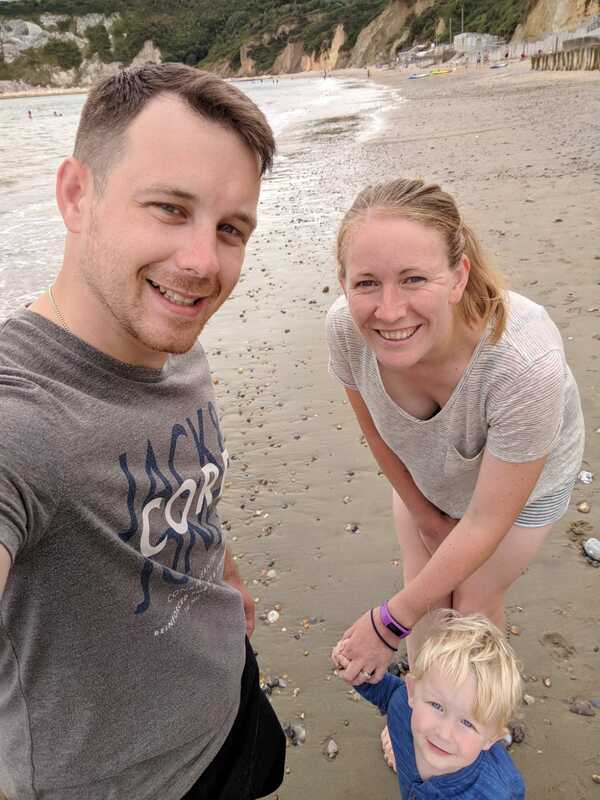 * Our family holiday to the Isle of Wight and one of my favourite pictures of the three of us from the year. * Just a sunny Saturday afternoon at the park across the road from us. * Helping to collect potatoes for dinner at Grandad’s house. 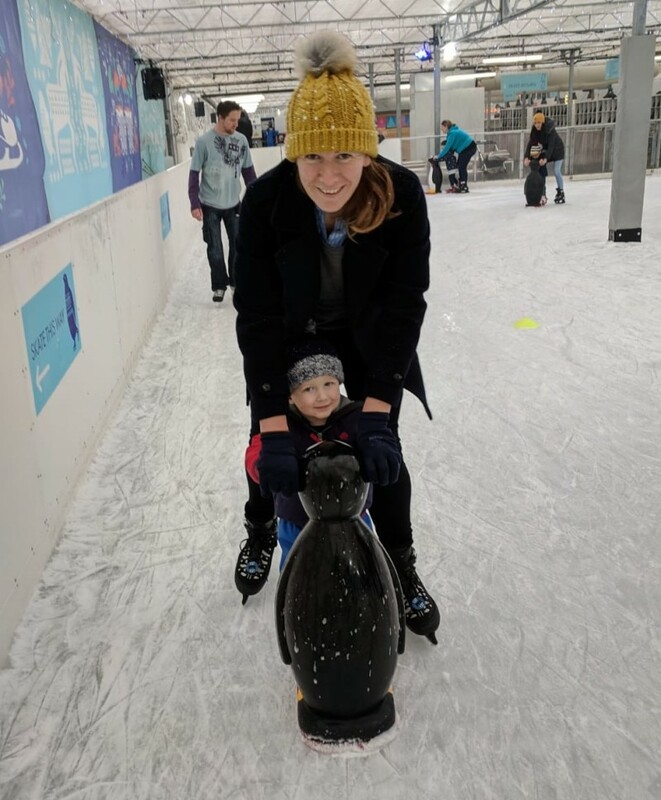 * Oscar’s first ice skating trip at Beckworth Emporium. * Watching the ducks with Grandad in Norfolk. * My little mini me! * Enjoying shoulder rides with Daddy at Irchester Country Park. 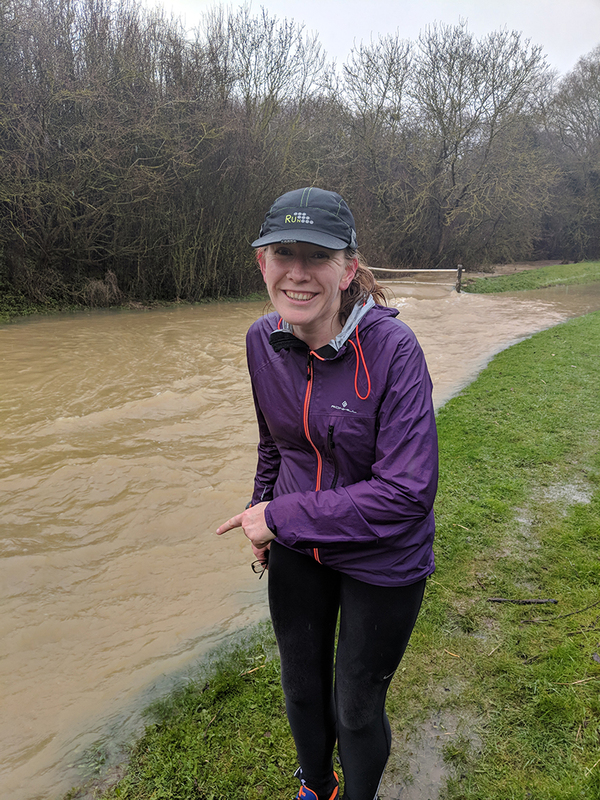 Obviously a parkrun double was on the cards at the start of the year and I chose to run the Linford Wood/Milton Keynes double again with Laura. The following day Dan, Oscar and I traveled to Wolverhampton for a funeral. Dan’s Nan had died at the end of November and her funeral was held on the 2nd January. 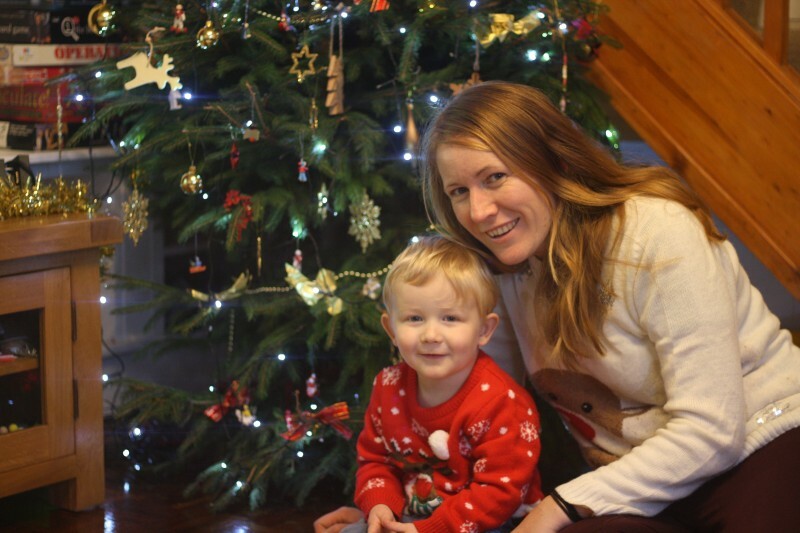 In January I was frequently working three night shifts a week, managing the occasional parkrun on a Saturday morning and then trying to blog, train for my 100, keep on top of housework and Mum the rest of the time. 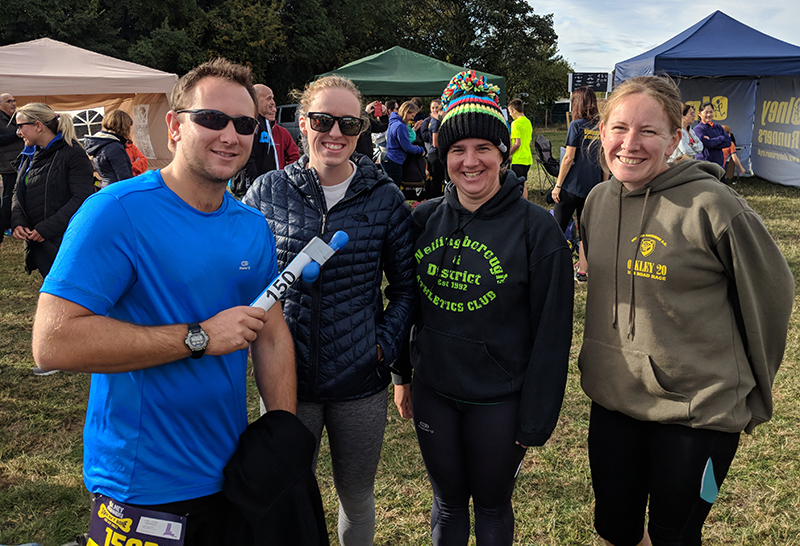 Somehow I managed a few parkruns straight on the back of a night shift before heading home to bed, and one weekend after having already worked a back to back night I drove to Biggleswade, slept (if you can call it that!) 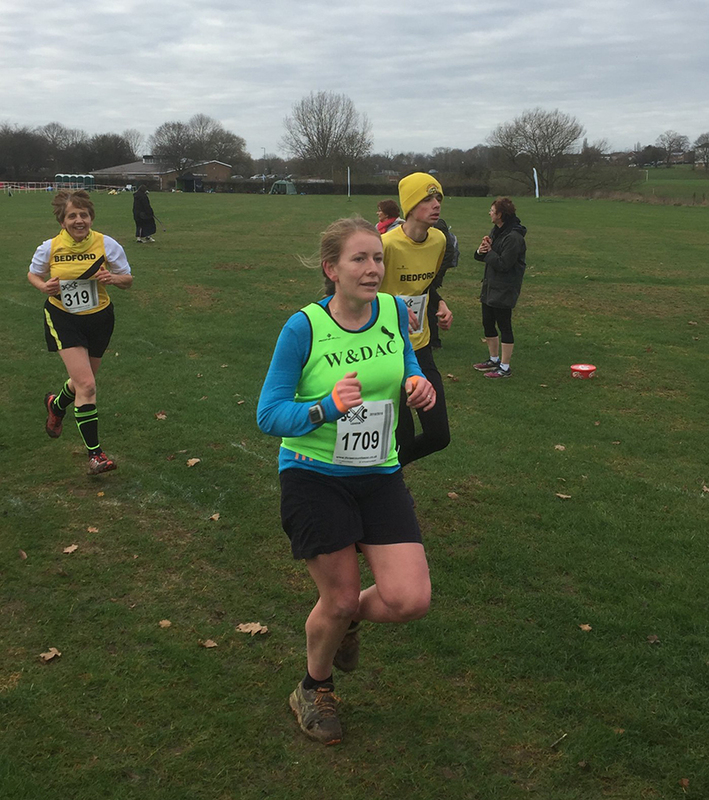 for an hour in the front of my car, changed into my cross-country kit and ran the final cross-country race of the season! It was also around this time that I had a health scare and was taken into hospital for a few scans. Although hopefully nothing to worry about I am still being monitored following that first hospital trip. 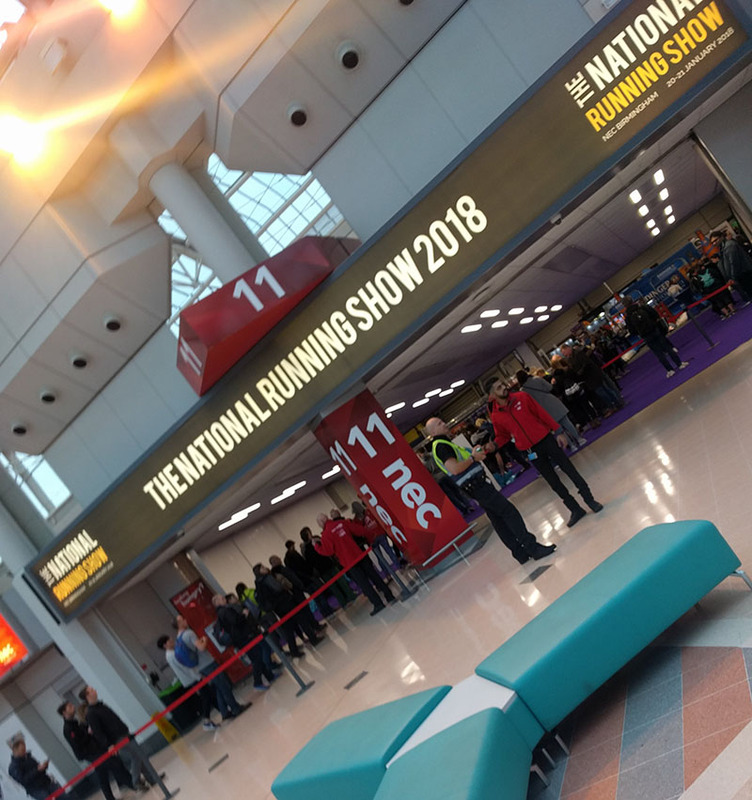 2018 was the first year of the National Running Show and I was so excited to visit in January. I was looking to meet new people and spend lots of money on fun running things! There were some great guest speakers and I bumped into a couple of people I knew through blogging at the show which was fun. 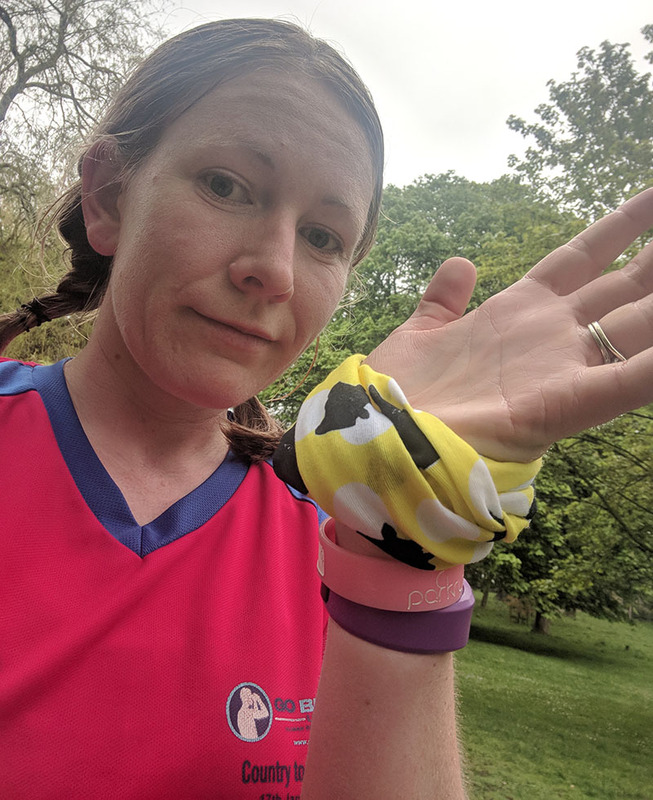 I also managed to pick up some pace bands, which I’m hoping are going to come in handy for when I run London Marathon in April later this year. I’m an ambassador for the event this year and although I’m poor and can’t really afford to spend any money at the show this time round, I can’t wait to see and hear all of the fantastic guest speakers they have lined up for next weekend! 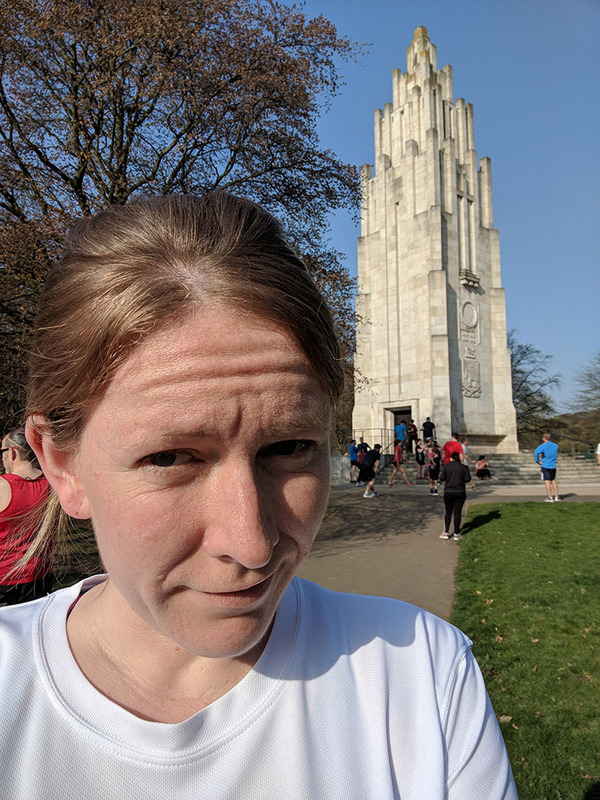 I volunteered for first time as pacer for 30 minutes at Northampton parkrun, coming in at 29:58 – I couldn’t have gotten much closer to target than that! 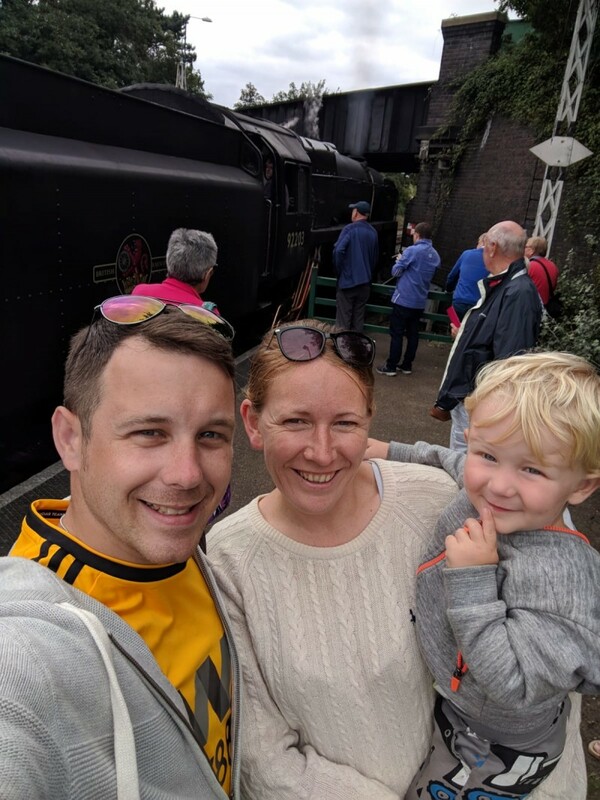 Dan was taken all over the country with work during 2018, often away for days at a time. 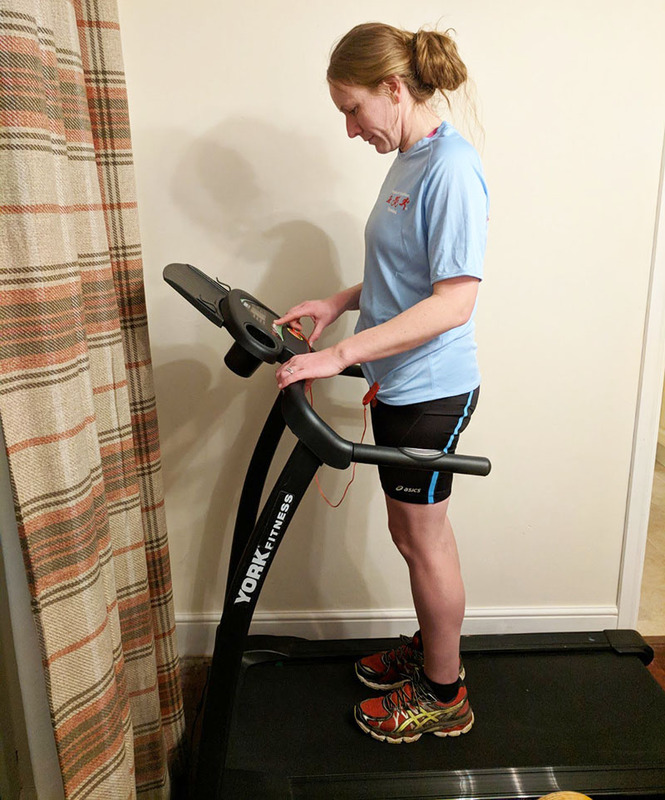 I put a shoutout on our club Facebook page to see if anybody would be able to loan me a treadmill in the build up to the South Downs Way 100 and I was lucky enough to be able to borrow a treadmill! After 17 months, Oscar finally started walking on his own on Valentine’s Day! 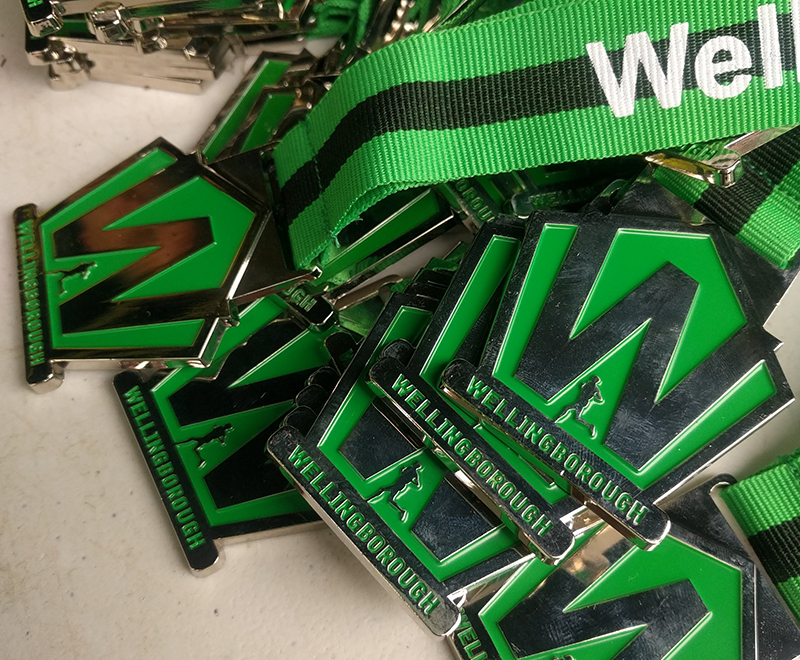 I also worked on the registration desk of our club trail race, the Welly Trail Half. I ran the Milton Keynes Half on Mother’s Day. The first Mother’s Day without my own Mum. 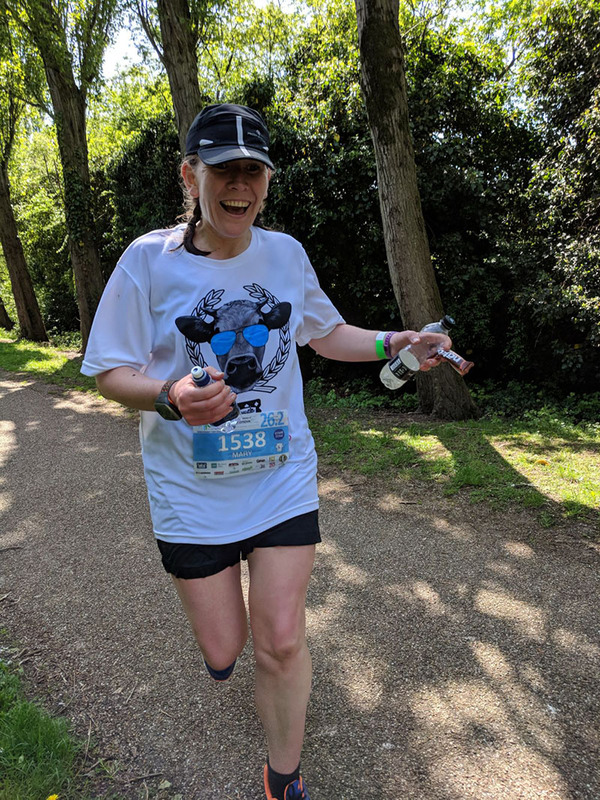 Initially hoping for a shiny new half marathon PB, my dreams turned to dust when I had to pull over and limp the final eight miles after getting a sharp pain in my calf at mile 5. I was absolutely gutted and there were a few tears that morning. The following day though, Dan, Oscar and I hopped into a very full car and headed off to York for our first family holiday. 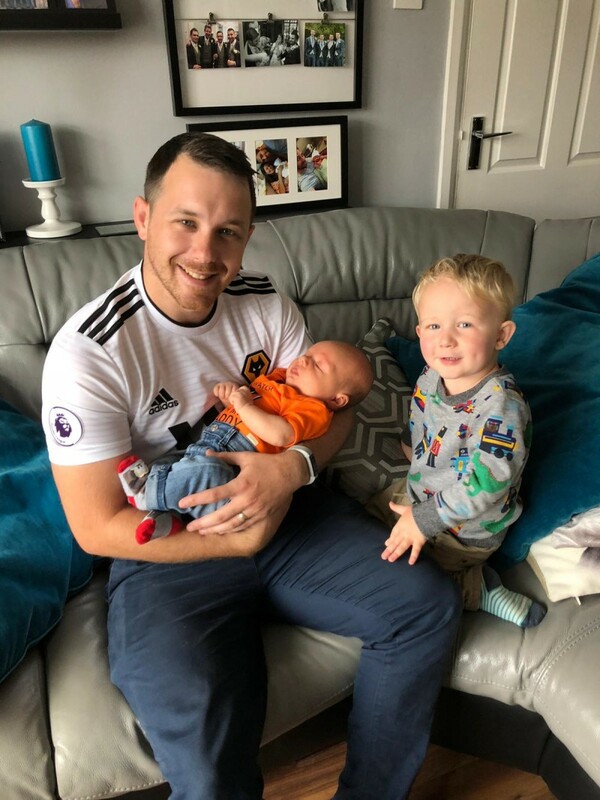 It was very much needed and I really enjoyed taking some time off from work, running and actually getting to spend some precious time with my boys. Following my calf injury I booked in to see Fred at StrongLines. 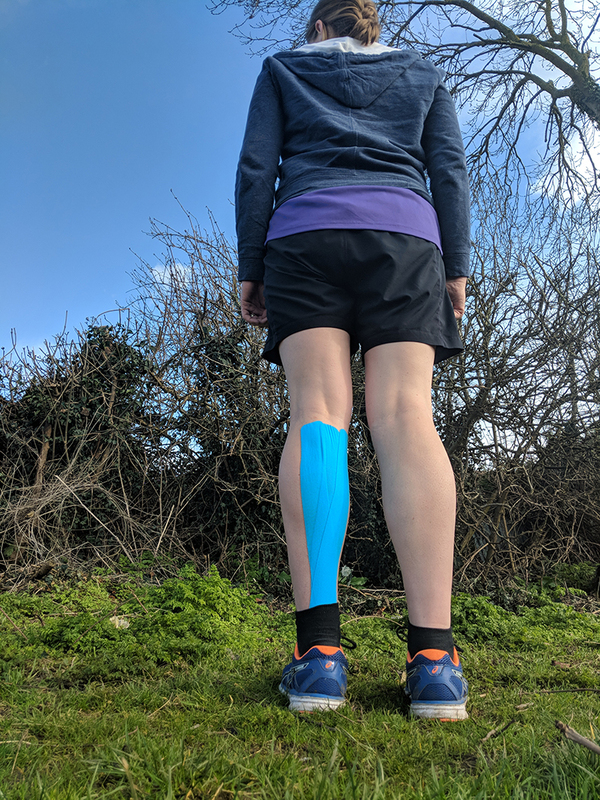 He taped up my calf and gave me a number of exercises to complete over the coming months to strengthen my weaker areas and ensure I made it to the start line of my 100 in June. 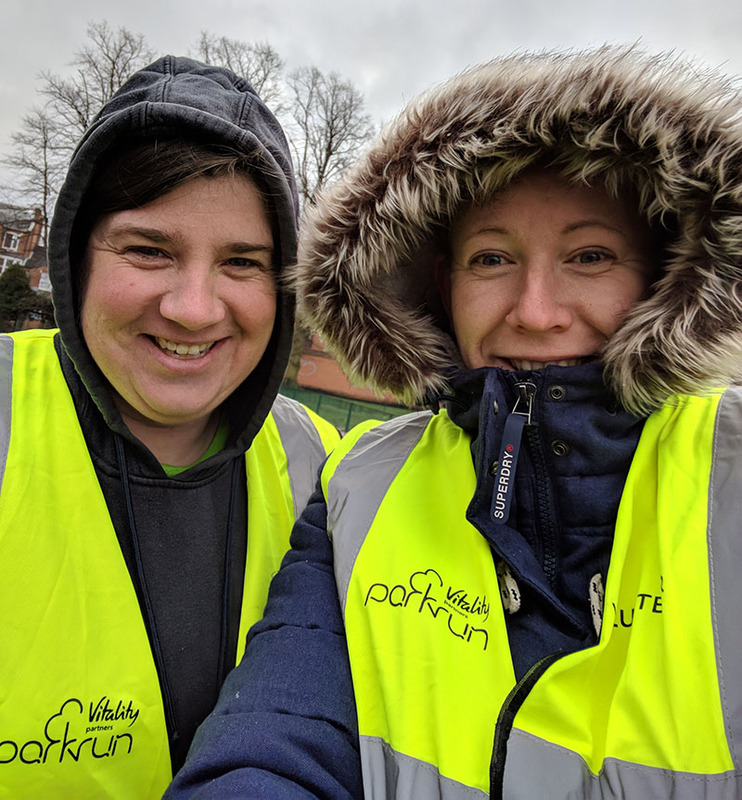 I nearly collapsed as I stood scanning barcodes at Northampton parkrun in the freezing cold one Saturday, luckily feeling much better after a trip to Magee’s and with a hot chocolate in hand to increase my sugar levels. 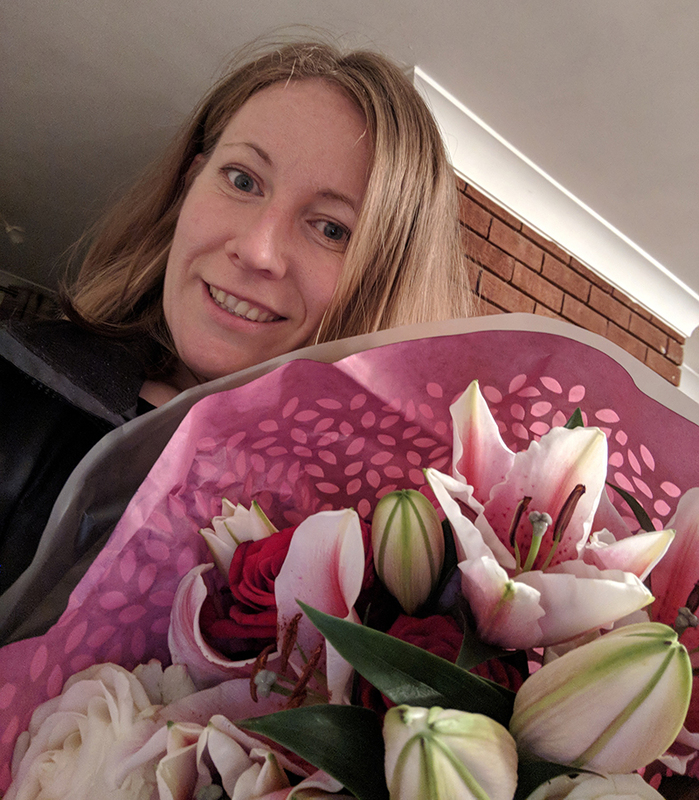 I stepped down as website editor from my running club committee, and received a lovely bunch of flowers and thanks at the AGM. 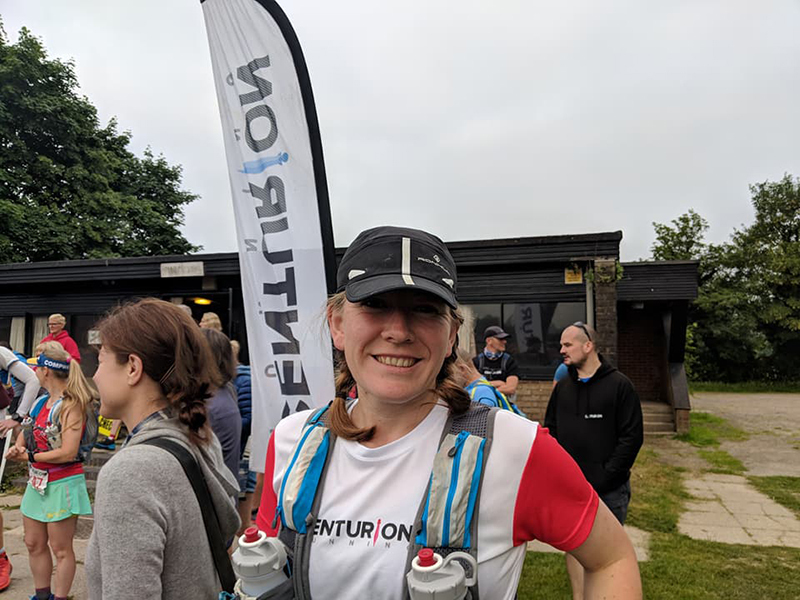 One of my goals for the year was to complete the South Downs Way 50 in a faster time than I had the previous year as I’d still been breastfeeding back in 2017 and had stopped to express along the way! I’d have been pretty gutted if I had not been able to run the 2018 event faster! Luckily, I achieved my goal, and finished nearly an hour faster than I had ran the event the previous year, smashing all of my goals for the race and building my confidence ready for the 100 miles along the same piece of course later on in the year. I then spectacularly managed to mess up some parkrun tourism when I arranged to meet Laura at Luton parkrun. 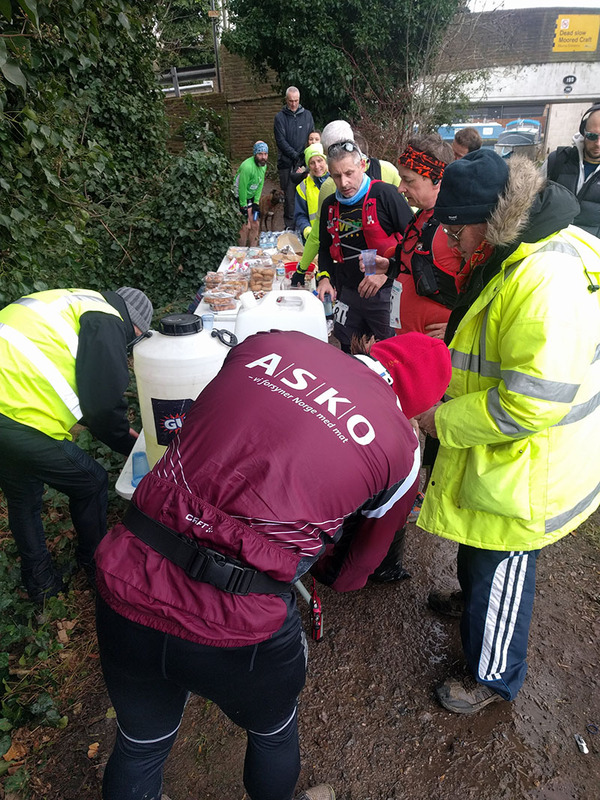 Turns out there are two parkruns in Luton! Luckily we each turned up at an event we hadn’t run before so still increased our tourism count even though we didn’t see each other that morning! Not my finest moment though! To think I was so chuffed to have arrived before Laura that day, when I always leave everything to the last minute! 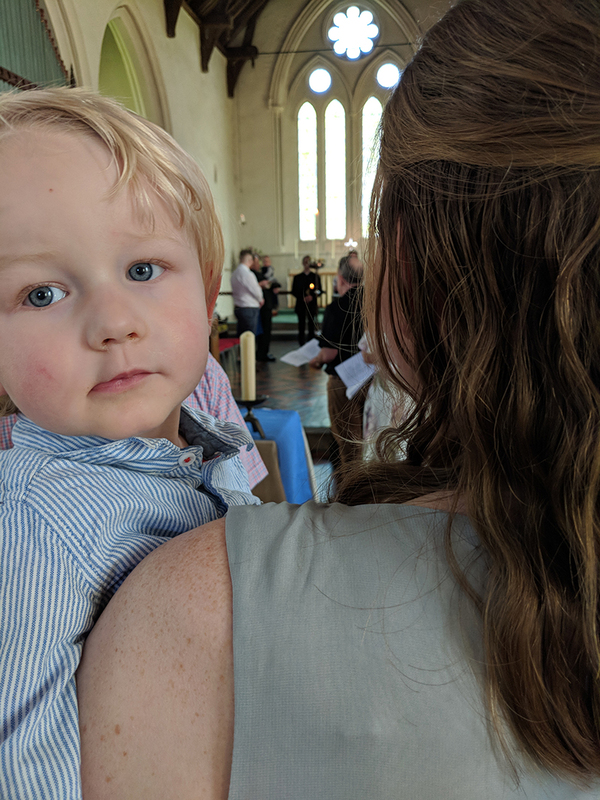 This year we attended four weddings and two Christenings, the first Christening fell on the first weekend in May for my friend Zoë’s little boy Oliver. The following day was the Milton Keynes Marathon. Probably the hottest weather I have ever run in! I had decided by mile 11 to just enjoy the run rather than to run hard, and I had such a fun race! 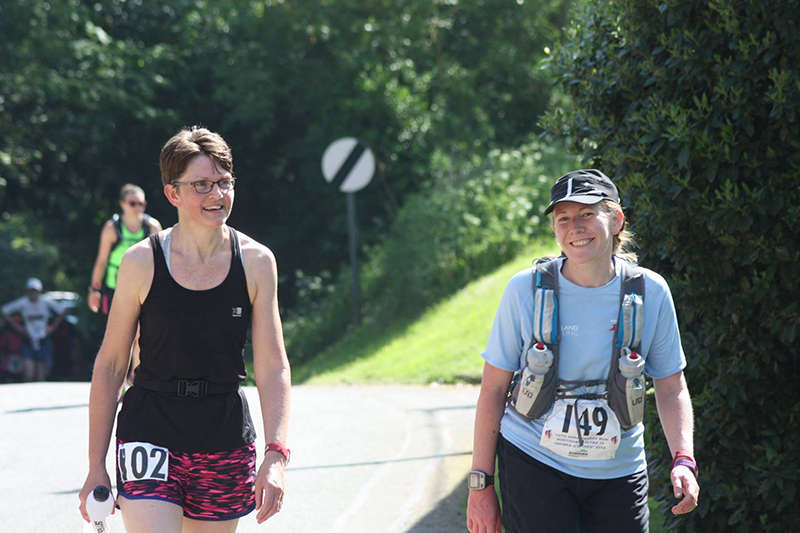 A few weeks later I offered to pace another runner to a PB at the Shires and Spires ultra. 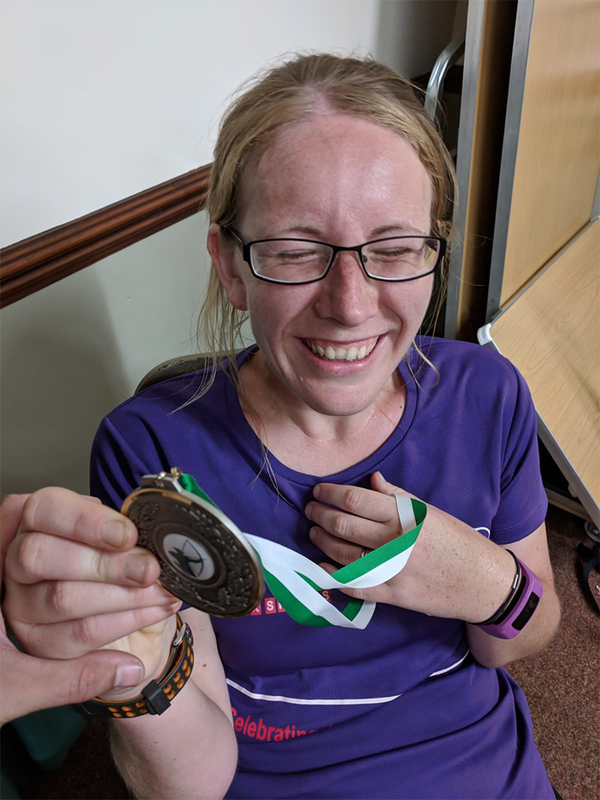 The runner I was pacing achieved more than she had hoped for, taking over an hour off from her previous best, and crossing the lady as third in her age category, winning a trophy along the way! I didn’t blog much in June. (Once, about the Shires and Spires race.) All of my time was spent marking for OCR, working shifts at Tesco and preparing to run 100 miles at the South Downs Way. I ran my first attempt at the 100 mile distance on the 2nd weekend in June, managing to get to 78 miles. Possibly the busy lead up to the event was what caused my downfall in not completing the race. As an ambassador for Decathlon I was invited to go and take part in filming for their Summer campaign – Sport for Every Body. I had so much fun down in London with a bunch of like-minded fitness bloggers and was sad when the day came to an end, even though I had the most stressful trip down and my interview answers on camera were so poorly constructed! 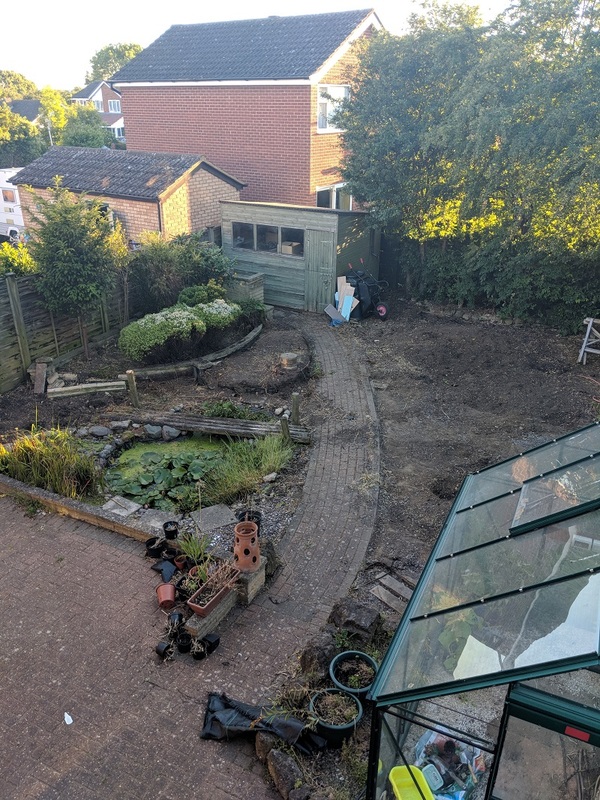 We started to make a massive dent in our garden this Summer, but due to the heatwave, could only get so far so that’s another mission to add to our 2019 to do list! 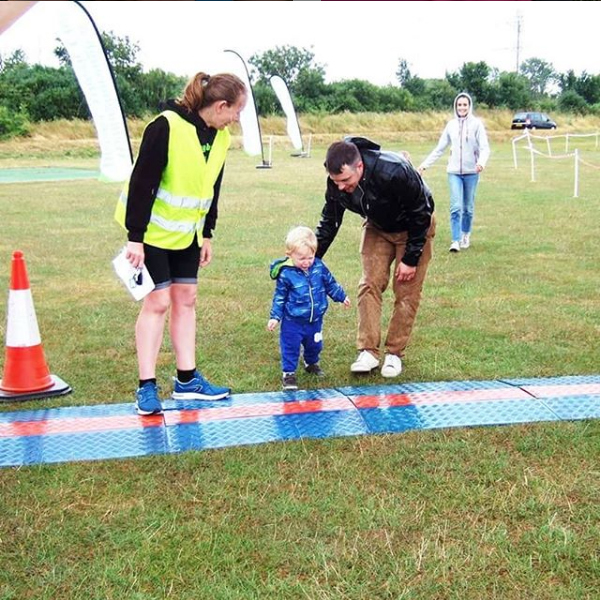 Oscar ran his first toddler dash at our club race at the end of July. Although I had visions of him happily toddling the whole length of the race, arms in air as he crossed the finish line, in reality it rained heavily for the duration of the race and Oscar sulked as soon as he realised the other toddlers were much older and bigger, therefore faster than him. He ducked under the barrier at the first opportunity and it took a lot of convincing from Dan and Me to keep him going until the end! I went to support Guy at the Grim Reaper race at the start of August. He was attempting the 70 mile distance, which had been where I ran my first 70. He had horrific heat for his attempt though, so I went along armed with ice lollies for him and the rest of his support crew. Sadly the heat got to him and the blisters which grew on his feet prevented him from getting past 40 miles on the day. 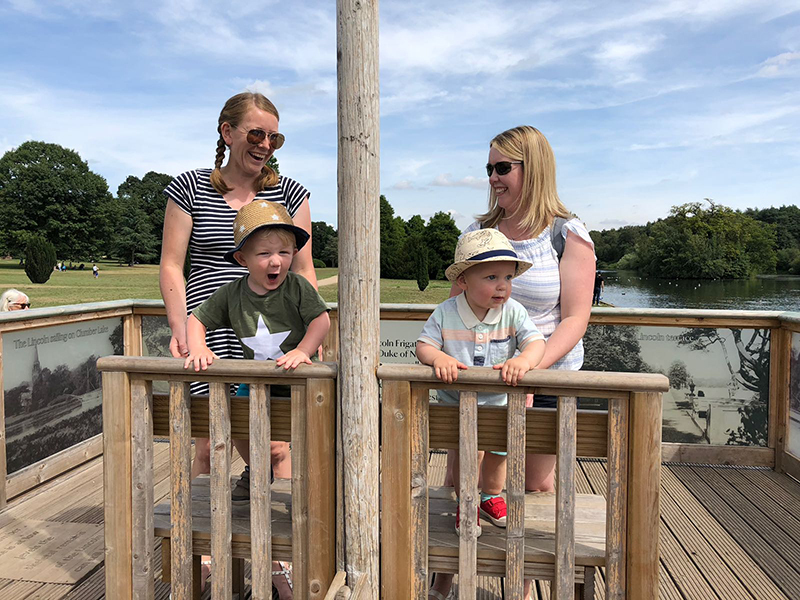 We met up with friends and their toddler at Clumber Park later in the week, not realising at the time that I would actually be running part of my 100 miler around the park later in the year. It was also our fourth wedding anniversary on the 9th August. (That time has gone by so quickly!) A fourth anniversary is represented by flowers and fruit. 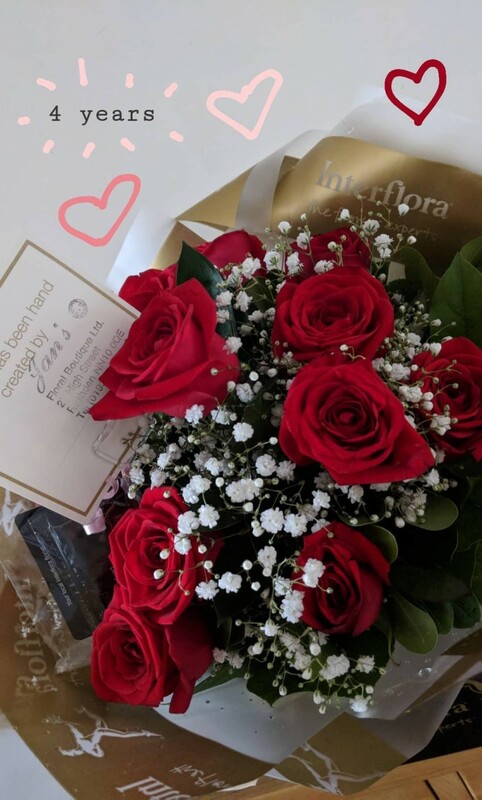 I bought Dan a plant for our lounge and he treated me to a delivery of roses then we headed out for a date night dinner with Oscar in the evening after Dan had finished work. 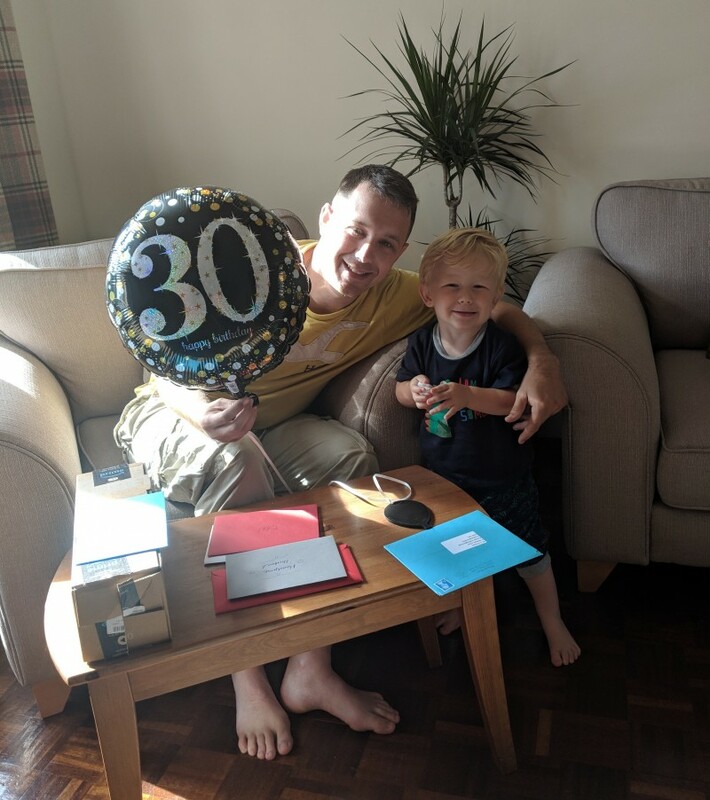 August was also Dan’s 30th birthday, which we celebrated by having some of his closest friends over for the day. It was a fairly quiet celebration, as we were due to head off for a holiday to the Isle of Wight the next day. We made a break for four days to the Isle of Wight to stay in a static caravan owned by Dan’s parents. It was the first time I had ever been to the Isle of Wight (or stayed in a caravan! ), and we had a fantastic time away. We headed back home ready for the weekend so that I may work and then we continued our Summer adventures by visiting my Dad in Norfolk the following week. So much lovely family time together, although we did have to attend the third family funeral of the year whilst we were back – for my Aunt/Godmother. Another cancer victim. 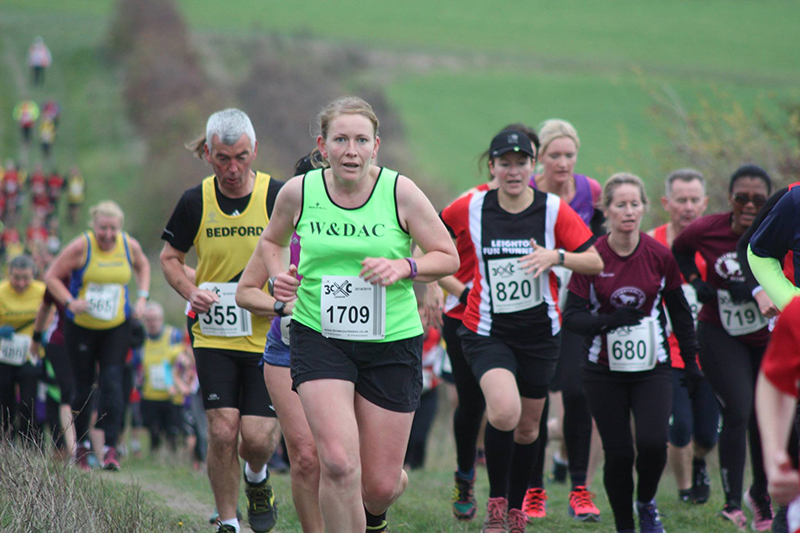 I booked to run the Dunstable Downs marathon at the start of September rather last minute. The race fell a fortnight before my second 100 mile attempt, but I didn’t feel well going into the event and made the decision to pull before even getting to halfway, resulting in a massive knock to my confidence before goal race day. 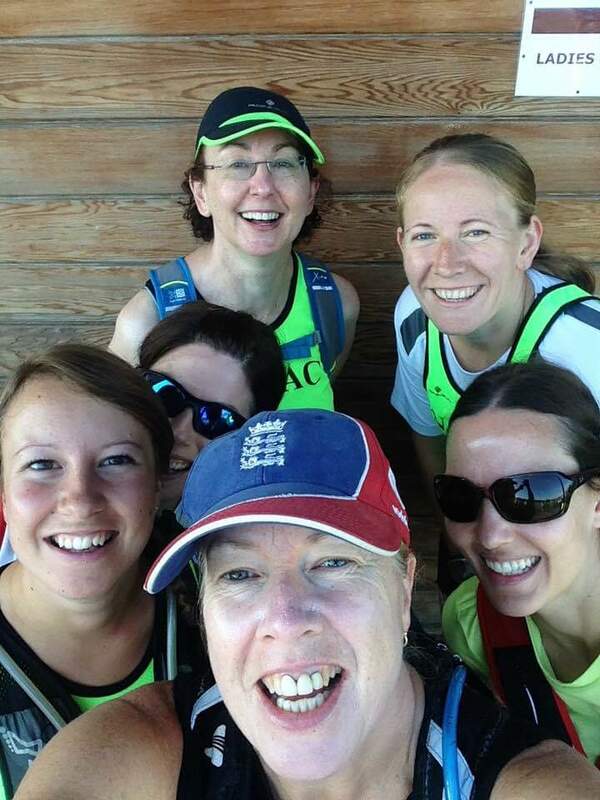 September was all about the completing my first 100 miler – the Robin Hood 100. 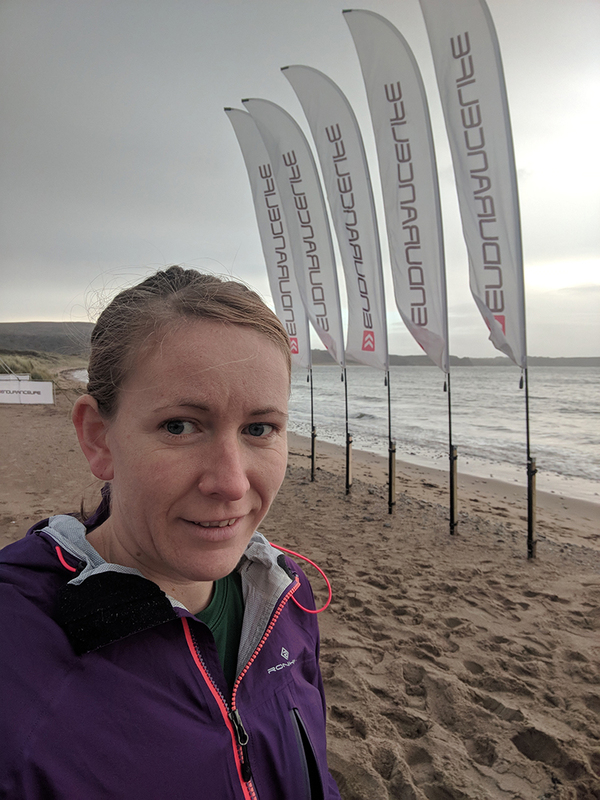 I was so, so happy to cross that finish line and know that I had completed the distance I had set out to complete as one of my main goals at the start of the year! 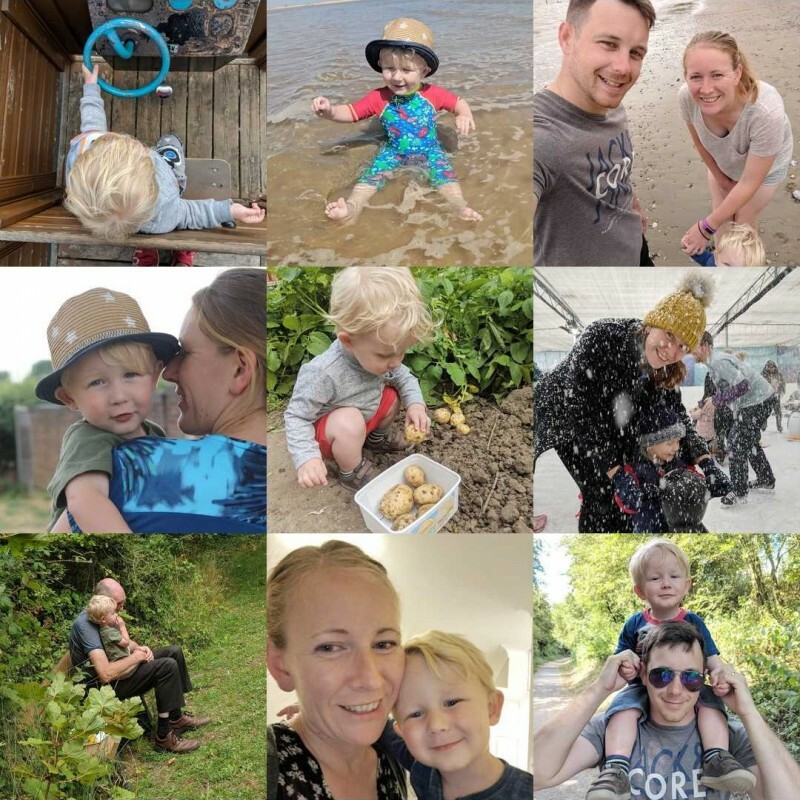 We also celebrated Oscar’s 2nd birthday with friends at West Lodge Farm this month. I followed my 100 up with the Squeaky Bone relay race a few weeks later, running with three good friends as part of a relay team. 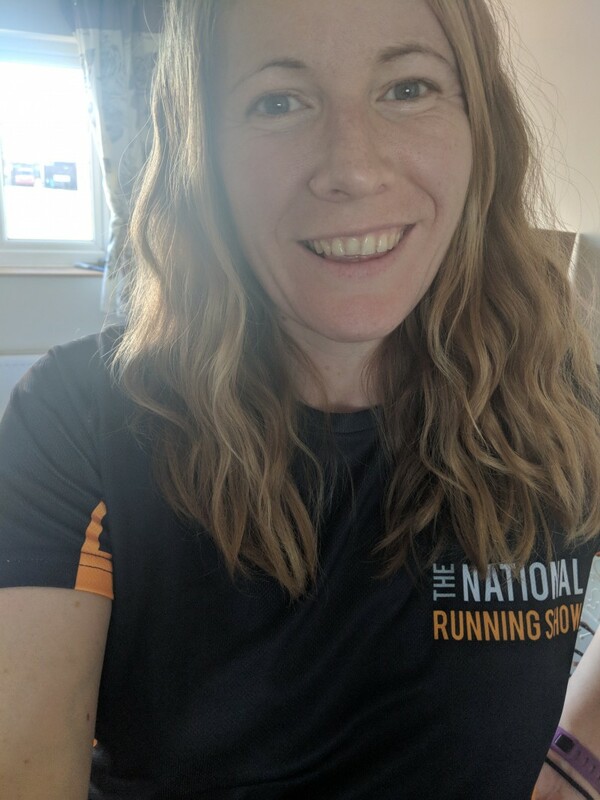 At the end of the month I was chosen as an Ambassador for The National Running Show, which is something I’m really looking forward to attending again this year. 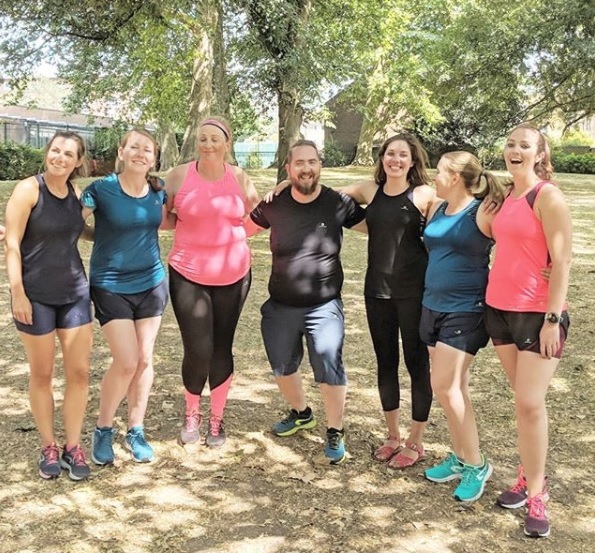 In October I offered to show other local members of the Run Mummy Run community some local running routes, and have regularly run out with a little group that live nearby since. 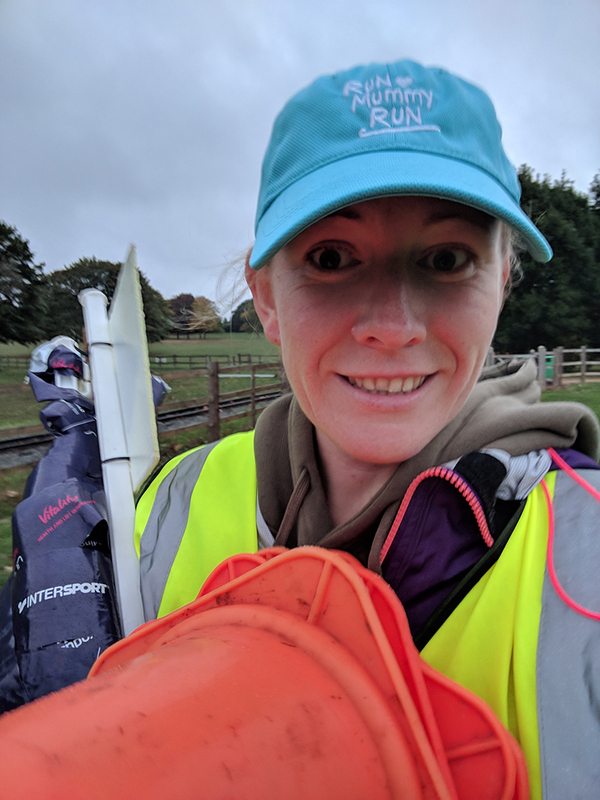 I also got involved with the RMR takeover at Kettering parkrun, volunteering to set up and take down the equipment after the run. Dan, Oscar and I took a trip to Wolverhampton to meet a friend’s baby. Oscar got sick the following week and ended up hospitalised with pneumonia which was a rather scary time. 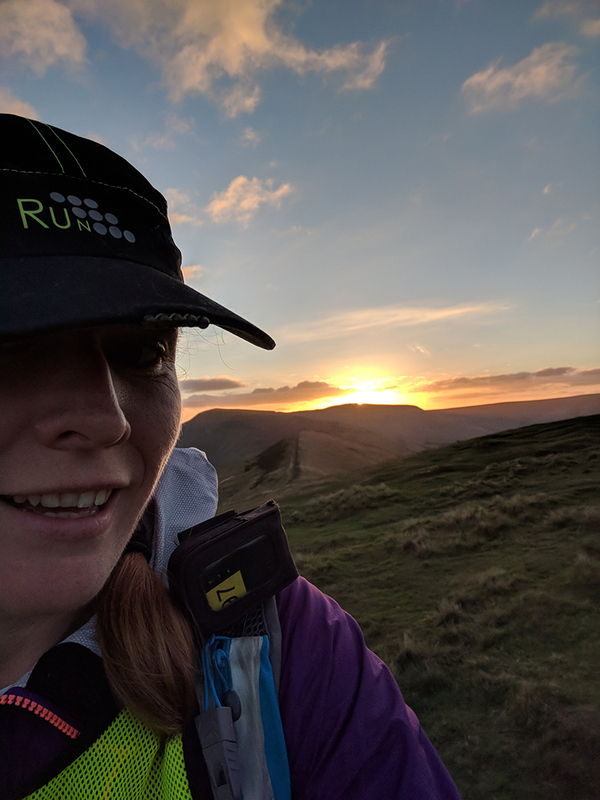 The day after he left hospital I headed up to the Peak District to run the Dusk ’til Dawn marathon through the night with friends. I had so much fun, even though it was freezing out there! 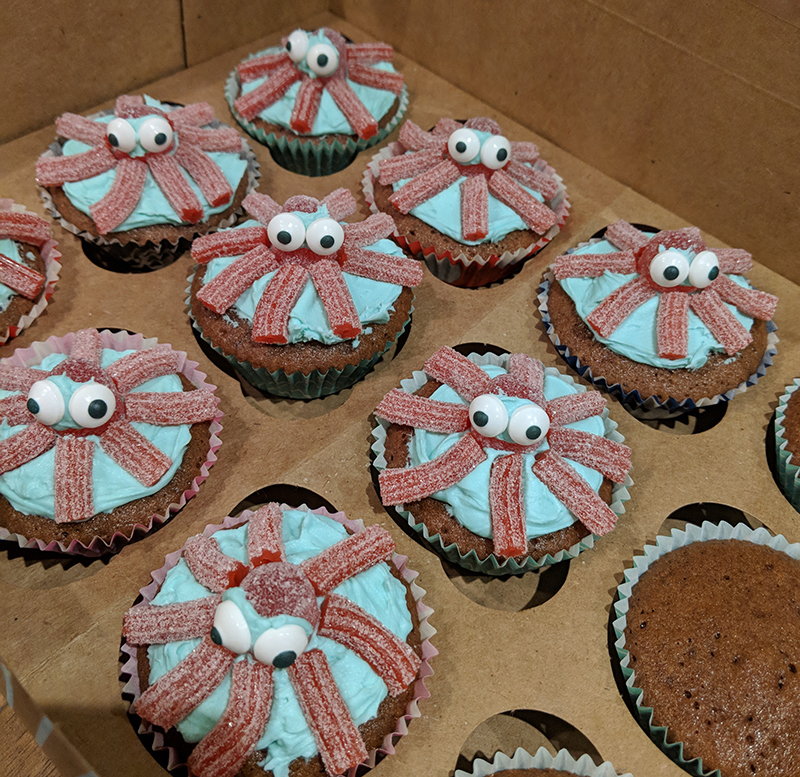 My birthday is the 31st October and I celebrated(!) 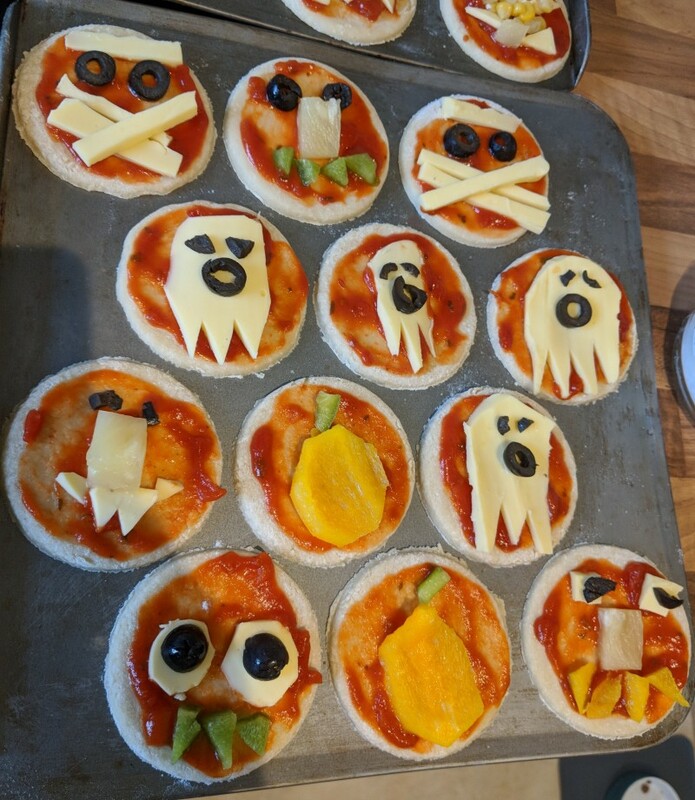 by hosting a Halloween party for four of Oscar’s friends and their Mums, and then did my paper-round in the evening! 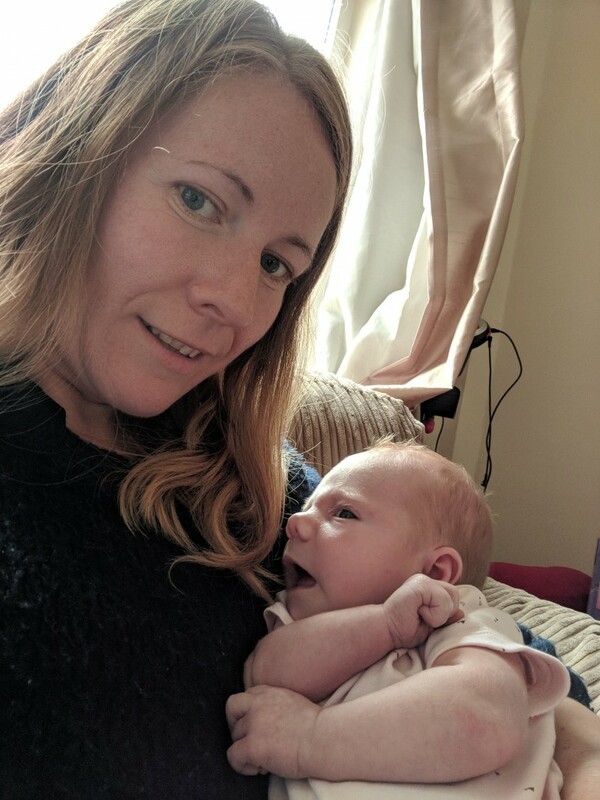 Oh how glamorous it is being a stay-at-home Mum in my 30s(!) We had so much fun at the party though! 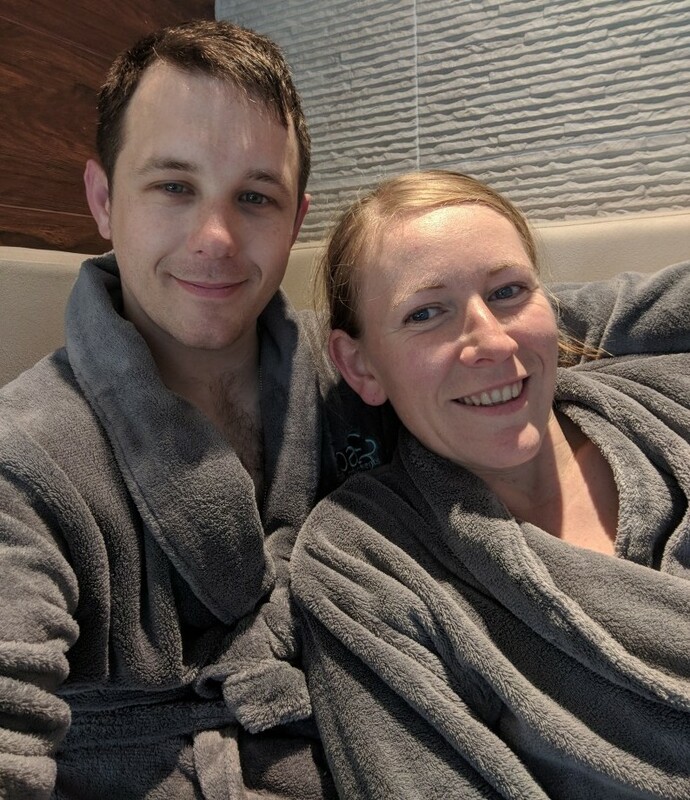 Dan had treated me to a spa day for my birthday, so on the first Friday in November we headed to a spa in Kettering for the day. It was lovely actually being able to spend time with just Dan again after so long. 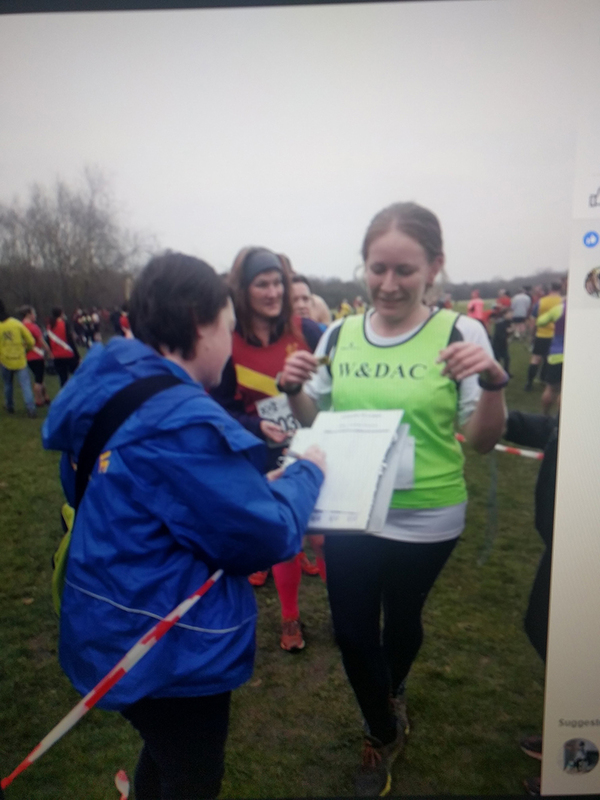 I ran the first cross-country race of the season at Dunstable. It was ridiculously hard! A trip to Gower with friends for the marathon came the following weekend and it was nice to have some time completely away from being Mum for a couple of days and escape the madness of working five jobs! December was a brighter month. With Christmas on the way, Dan, Oscar and I were invited down to London to film for the Decathlon campaign ‘Bikes are for Christmas’. 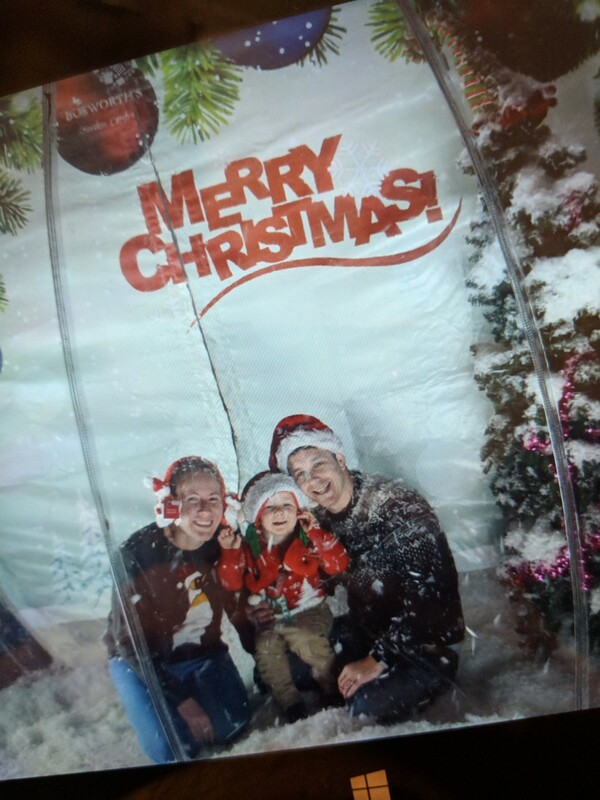 As Oscar was of an age where he understood the magic of Christmas a little better this year we made sure to fit as much of that Christmas magic into the month as possible. 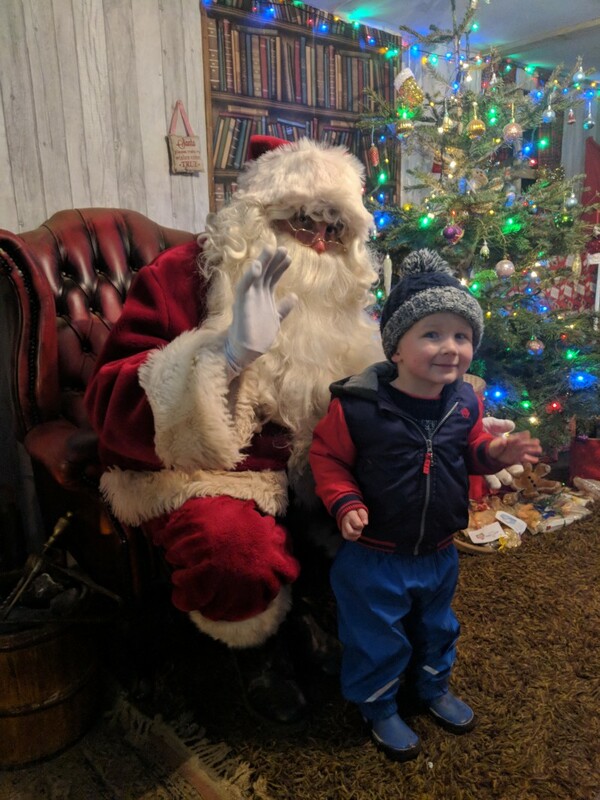 …and to West Lodge Farm Park to meet Santa. 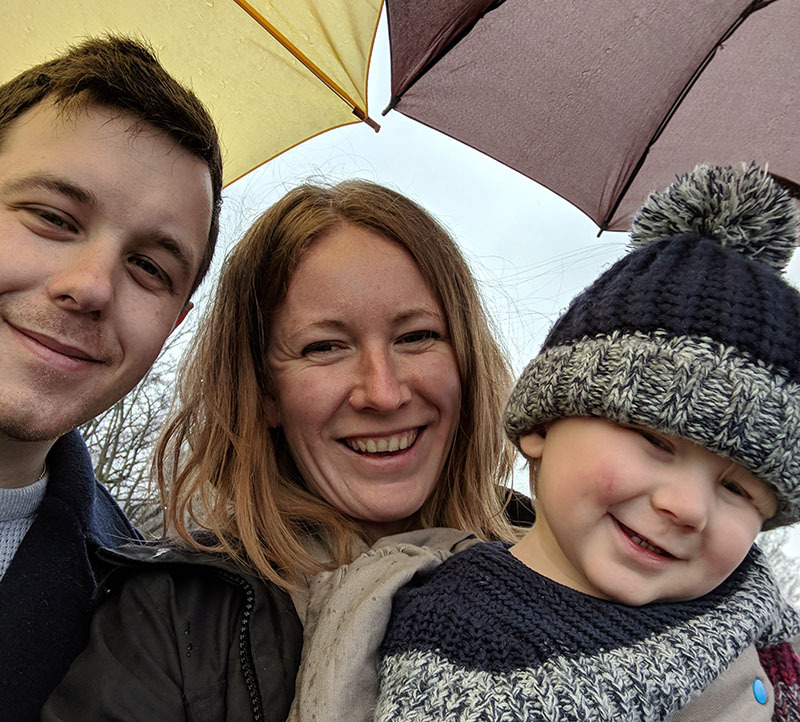 We spent Christmas with my Dad, Aunt and Great Aunt in Norfolk and then just enjoyed having some time off as a family for the remaining few days that Dan had off before needing to return to work. And then, just like that, we’re already two weeks into 2019! What were the highlights of your 2019? What a great post- you have managed to fit so much into just one year. That picture of you after the 100 miles is just brilliant, you look so happy. 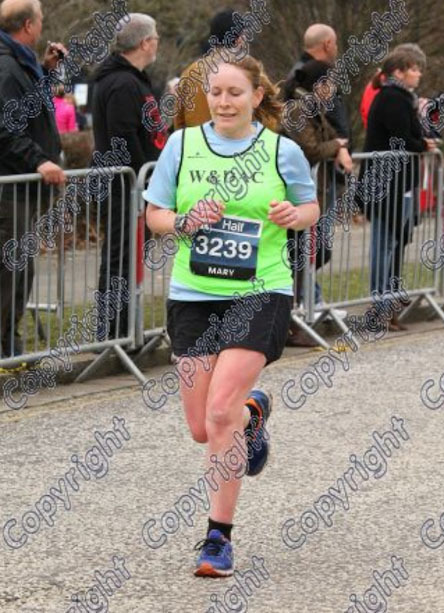 I know it’s not the best photo of me after the 100 but it definitely sums up my achievement that day! What a great year You packed a lot in both in terms of family events and running. And 100 miles!! SO EPIC. Ah thanks Anna. It always amazes me how I manage to fit so much into the year every time I do a look-back.